Fairly early on in Sora’s Kingdom Hearts III adventure, Ienzo (formerly Zexion) tells Sora that he has three other hearts hanging out in his chest cavity. Those who played Birth by Sleep already know that Ventus was one of the hearts. Of course, Sora immediately says that Roxas is one (more on that in a bit), but who is the third heart? That’s the big mystery that enshrouds most of Sora’s journey throughout the game. It’s such a mystery, the game isn’t even that forthcoming to say, “Hey! THIS is whose heart it is!” It’s not in Sora’s phone diary after game completion, either. It’s up to the player to discern this third heart from dialogue, other insinuations, and other games. See, there’s another reason why Square Enix was keen on pumping out all of those remastered versions for the PS4. They wanted you to have the whole story and the whole cast of characters. Like I said before, if you played Birth by Sleep, then you already knew this one. After Ventus and Vanitas clashed, Aqua stopped Vanitas from absorbing Ventus completely. She took Ventus, who had lost his heart and was now sleeping, to Castle Oblivion where he would be safe from Vanitas. She was sure that while she left him there to save Terra, his heart would return to his body. However, Ventus’ heart literally found a young Sora on the beaches of the Destiny Islands. Sora had told Riku he felt someone or something calling for help. Riku told him to close his eyes and reach out. When Sora did, he spoke with Ventus’ heart, who asked Sora if he could stay with him for awhile for protection. Sora, being the kind-hearted soul that he is, agreed without hesitation. Of course, Sora grew up and forgot about this incident, which happens to all of us as we grow from kids to adults. He was genuinely surprised when Ventus’ heart called out to Vanitas after seeing him at Castle Oblivion. 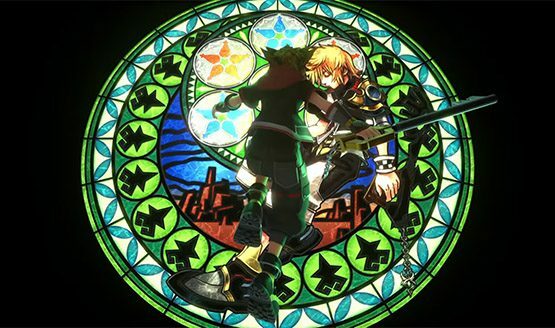 This heart merger always made sense to me, because it explained why Sora’s Nobody, aka Roxas, looked like Ventus. While the rest of the Organization XIII Nobodies looked very much the same when their bodies and hearts were whole, Roxas never once looked like Sora. Learning that Ventus’ heart was with Sora all this time explained this discrepancy so very well. You had the same voice actor for both parts, so yes, this all made sense. So let’s take this sense and throw it out the window in the name of Roxas. So, Roxas. As I already stated, Roxas is Sora’s Nobody. Nobodies are the bodies left behind after a heart is taken, usually by a Heartless or another Nobody. (Huh. Never realized how vampiric that all really is until just now.) When someone with a very strong heart, like Sora, loses their heart, they retain their form as a Nobody. They are usually swiftly recruited by Organization XIII. We’ve already gone over why Roxas doesn’t look like Sora, and yes, Roxas was part of the Organization. Sora lost his heart back in the first Kingdom Hearts game. He learned that Kairi’s heart was trapped in him after she was kidnapped—what’s with Sora operating as a heart storage facility—and he used Riku’s Keyblade to release her heart. Doing so, he released his heart as well. Thus, Roxas was born. Roxas should have flat out disappeared after Sora reunited his heart and body. But he did not. Thanks to that, we have 358/2 Days and Kingdom Hearts II. However, at the end of KH2, Sora officially officially becomes complete. He has his heart. He has his body. That means Roxas is as gone as is Zexion when he recompleted to Ienzo. Yet, for whatever reason, the story writers really want Roxas to have his own heart. They even shoehorned into Dream Drop Distance this sudden fact that Nobodies can grow hearts. Super convenient, is it not? 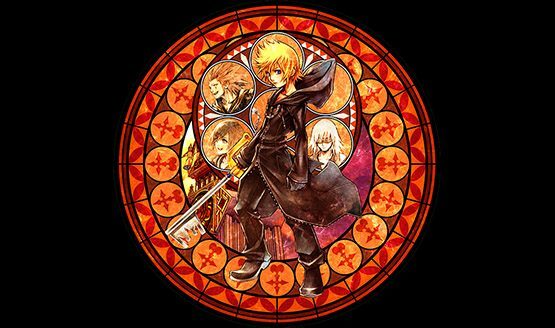 As such, Roxas is one of the three hearts. As soon as Ienzo told Sora he had a third heart, I knew immediately who it was and I could not have rolled my eyes farther back into my head if I wanted to. 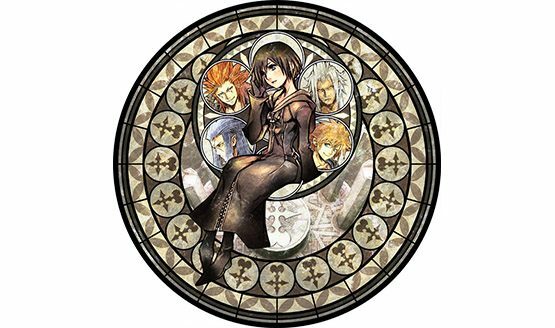 The third heart is Xion’s, the most shoehorned-in character in the entire series. She entered the scene in 358/2 Days as a fourteenth member of Organization XIII. Xemnas created her almost as an insurance policy, in case Roxas didn’t pan out. Since he built her from Sora’s memories—remember, Sora is sleeping this entire time in Castle Oblivion as Naminé repairs the damage she has done—she technically has no heart or real body. The truth is, though, that the developers created her to make a third member to hang out with Axel and Roxas as well as to give 358/2 Days some semblance of a plot. When Xion learns what she really is, she kind of snaps and forces Roxas to kill her. At that time, she said she was going back to Sora so he could have his memories back. That should have been said and done. Emphasis upon “should have.” Someone decided she has a more important role to play and thus scattered hints about her growing a heart in Sora when she returned to him. I have no idea how someone who was never a real Nobody to begin with, who was made from memories can develop a heart, but here we are. Evidently in addition to Sora being a heart storage facility, he’s also a heart manufacturer. So there you have it. The three hearts are a literal heart that Ventus sent to Sora, a heart a Nobody was growing after recompletion, and a heart growing from memories. I want to say this is such a massive reach, but then again, it’s Kingdom Hearts. The series’ story has been one giant reach ever since Chain of Memories.